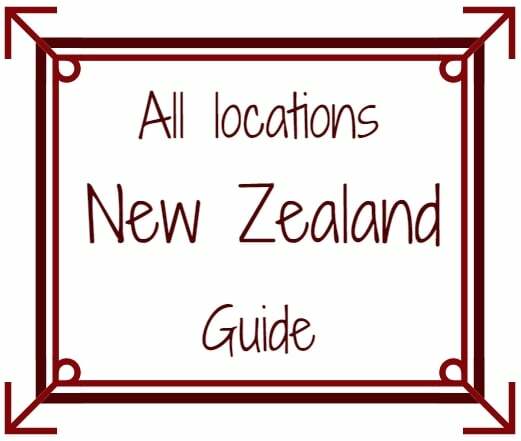 Look at a map of New Zealand and see how many lakes there are! And the craziest part is, that when you think you saw the most beautiful lake there is, the next one just blows you away. In South Island, I have visited 3 that enchanted me: Tekapo, Pukaki and Benmore and all I could feel was peace and happiness! 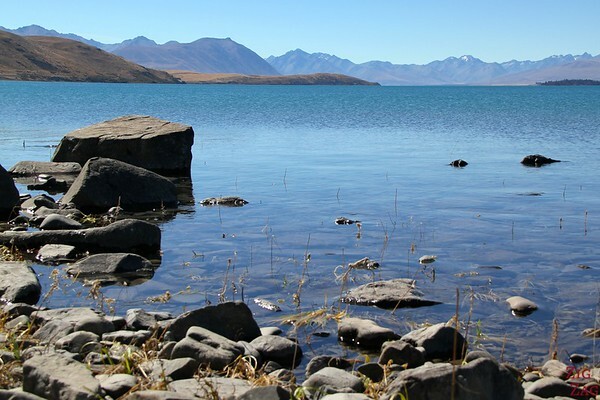 Tekapo is a great place to base yourself and explore the region. You can check out its tourism website. But it cleared all at once and we were blow away, could not stop looking in every direction. 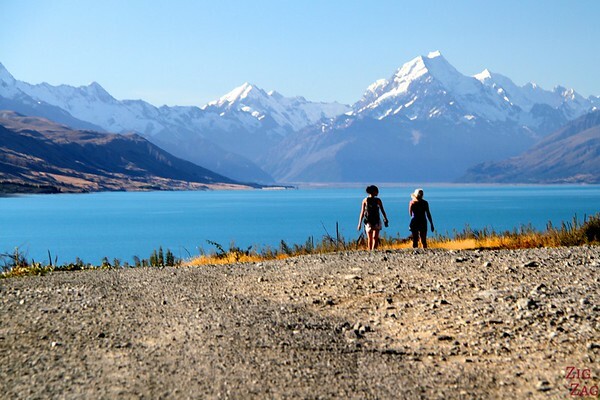 Everyone became louder on the bus and it was time to discover one of the most iconic regions of New Zealand. Tekapo and Pukaki are 2 of the most famous lakes, but Benmore had its own charm with lower mountains but interesting colors and reflections that day. 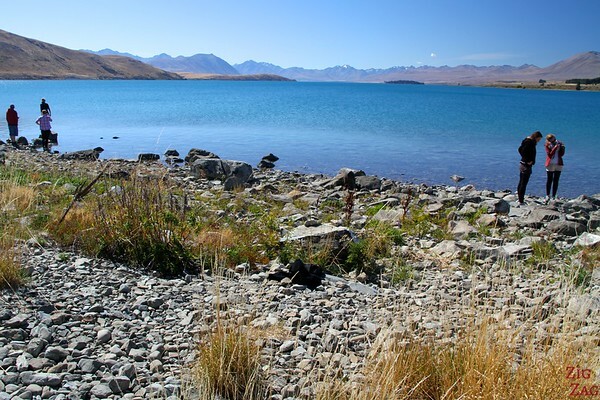 Tekapo is the first lake we discovered, and the less isolated of the 3. The color was so intense I could not detach my eyes from it. 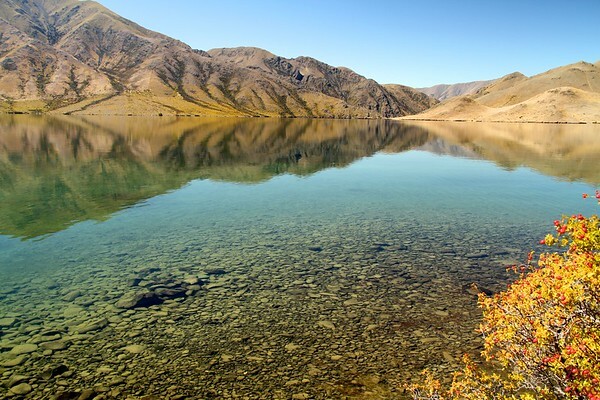 It is a 83 square kilometres (32 sq mi) lake at an altitude of 700 metres (2,300 ft) above sea level. 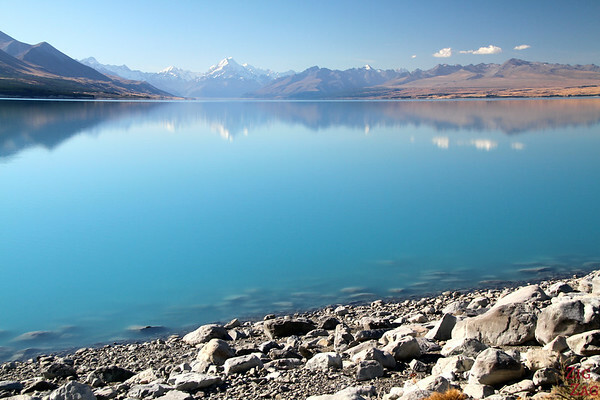 Lake Pukaki lies at the "foot" of the majestic Mount Cook (it is actually 70 km to the North but you get some good views). It is 178 km² and more than 500m above sea level. Countrary to Tekapo there are not toursitic town on its shore. We settle late afternoon. And after a walk along its shore, some of us went for a swim. This is a lake fed by glacier water so you can imagine that my swim in this distinctive blue water was refreshing and quiet short! 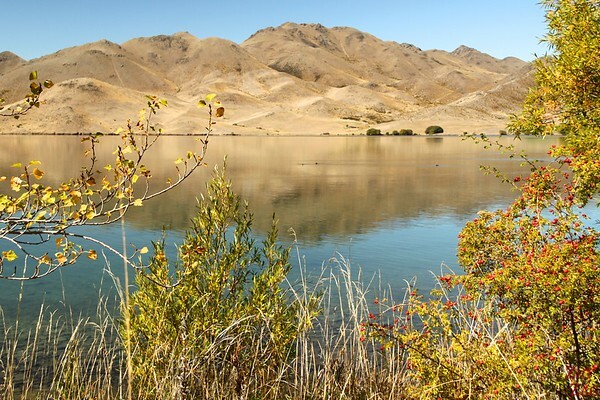 Pukaki has a camping ground where you can spend the night close to this magnificant nature and under the stars: an awesome experience. It was extremely cold but so worth it! 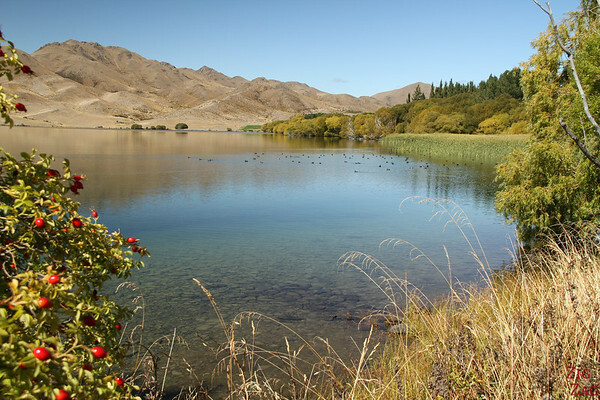 Lake Benmore is less known than Tekapo and Pukaki. It was artificially created in the 60s by the construction of a dam. 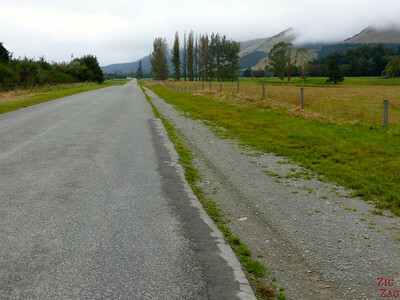 Like everywhere in New Zealand there are many tracks to discover. For more information check out the Department of Conservation website. 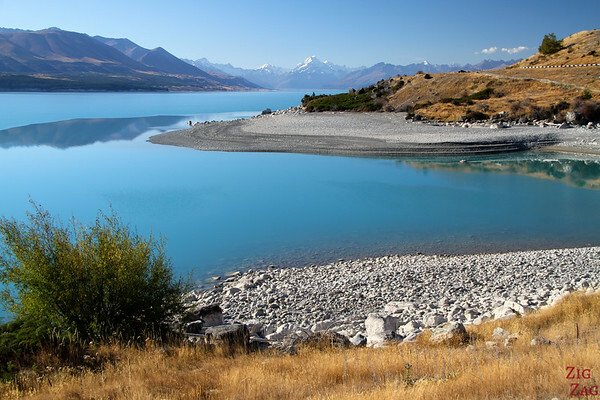 When driving away from lake Pukaki on road 83, you will notice this lake with a boating area. The group stayed and some had a swim. I walked along the path in the 'middle' of the lake and discovered those fantastic views, with beautiful colors and reflection. A magical moment that brought me to tears! See how clear the water is! 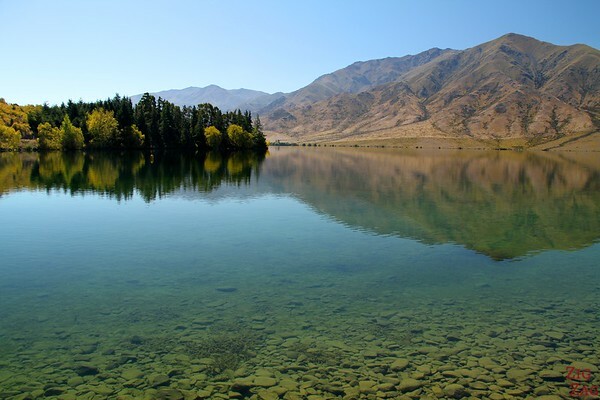 Check out Alyse pictures of reflections on Moke Lake near Queenstown. Do you understand my emotional response to those beautiful lakes? I bet it did, it looks so beautiful there. Would love to visit one day! Mindblowing is the only word I have! New Zealand is incredible! The beauty is so fresh and untouched. Well captured! Lakes, they look so calm and serene. You’ll never get tired of them. Honestly, it’d be nice to have a cabin by the lake where you can go to take breaks and think and getaway.